Where can you find fine Marble Coffee Tables in Australia? 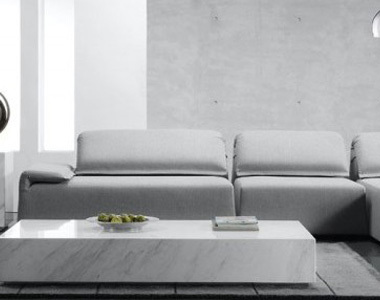 Choose From Our Range of Quality Marble Coffee Tables in Melbourne, Australia! If you are browsing for marble coffee tables, you will come across countless options. But how do you choose between them? If you desire quality, innovation and brand name recognition, then choose Gainsville and their extensive range of marble coffee tables. The perfect place to find a wide variety of different furniture, Gainsville has helped customers find the ideal pieces for their spaces for years. With quality Australian designs and expert construction, along with industry-leading features and innovations, our coffee tables are simply perfect. To truly enhance the design and style trends of your home or apartment, each interior component needs to match. For instance, if you’re aiming for modern contemporary interior design, your coffee table must match that, marble or not. With Gainsville, you get access to some of the finest designs of marble coffee tables in Australia, as we offer a range of styles that are sure to match all kinds of interiors. Talk to our experts and bring home the perfect piece that complements and accentuates the rest of your home design. Given how heavy yet delicate marble coffee tables can be, you must be careful to pick the right size. Understanding your intended space can give you a good idea about the right size for your new table, but Gainsville can help with everything else. With different sizes available and expert advice from our team of dedicated sales staff, we can help highlight the most appropriate options based on the information provided. The more you give us, the better the fit will be. Measure up your space, decide on a shape and style and then talk to us; it’s that easy! Marble is an excellent material to use in furniture due to the variety of finishes and shapes available as a part of the design process. Whether you choose a high gloss variation, matte finish or something in between, the finish can dramatically alter the impact the piece has in any given room. Additionally, marble can be quite striking in a range of different shapes, including circles, squares or even triangles. Gainsville’s range of marble coffee tables includes many different options, so you’ll never be limited by your choice. Not only do Gainsville offer market-leading design and quality aspects, but their value for money is among the best in the industry. With so many different products, you can be sure to find the right marble coffee table here in Melbourne that matches your budget. Talk to our experts today about your ideas and we’ll help every step of the way! Have more questions?! Contact us for expert assistance in finding the finest tables for your place.Start browsing now to have a look at what we have to offer!